We were recently awarded the Internet Advertising Competition (IAC) Award for Best Travel Social Media Campaign for the #DryTortugas Photo Contest. The IAC Awards highlight the best of online advertising in 96 industries and several online marketing platforms, including social media, mobile, video and email. BlackDog Advertising Miami teamed up with the National Park Service and the Yankee Freedom III, the official ferry of the Dry Tortugas, to increase brand awareness and promote the #DryTortugas Photo Contest through a Responsive Landing Page to feature winners and allow voting, Email Marketing, Remarketing Banner Ads and Social Media Marketing. How does the photo contest work? Visitors to the Dry Tortugas National Park are asked to take a photo, tag #DryTortugas and share it on Twitter or Instagram. Our panel of judges then selects 5 photos every month and displays them for public voting on the Dry Tortugas website and Facebook page. The photo with the most votes wins a National Park Annual Pass and is also entered to win a $500 Visa gift card. What’s the buzz so far? 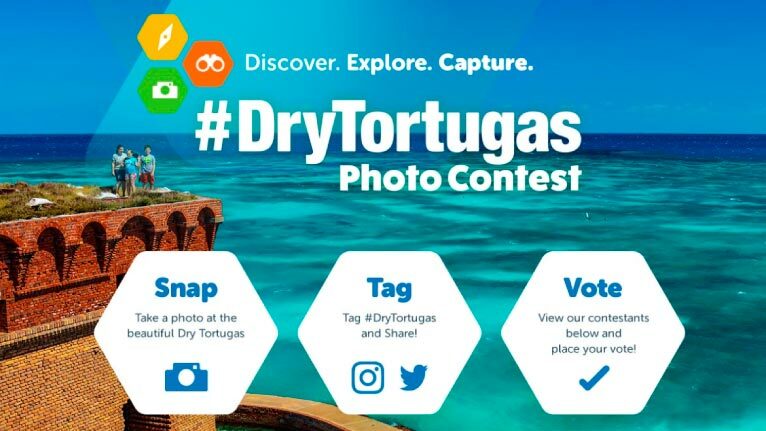 The outcome has been outstanding with thousands of #DryTortugas tagged photos submitted. As of April 2015, there have been more than 50,000 votes and the campaign has reached an estimated 787,000 people since it began and continues to grow. At the end of the campaign, each winning photo will be framed and put on exhibit at the Dry Tortugas National Park Centennial Celebration. We want to extend gratitude to our partners, including the National Park Service, Historic Tours of America and our panel of judges, for working to make this campaign successful. Visit the #DryTortugas Photo Contest page to learn about past winners and cast your vote!